Matt Emery and Melissa Emery received the news sometimes in May 2018 that their second son, Dylan, was suffering from Krabbe disease. According to Healthline, Krabbe disease is a rare and incurable genetic disorder which makes the body unable to create the substance needed to produce Myelin—a protective material surrounding the nerve fibers. In the absence of Myelin, the brain cell dies, and the nerves and other body parts will cease to function. Dylan’s parents had taken their little boy to a Children Specialist Hospital in Pittsburgh for medical care. 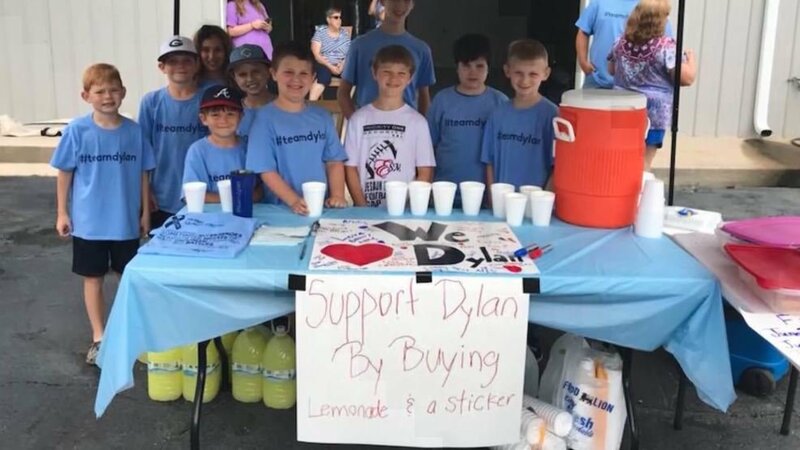 While they were at Pennsylvania, Dylan’s big brother, Andrew Emery took it upon himself to help raise money for his baby brother’s medical bills by setting up a lemonade stand. According to Andrew, he set up the stand so that he could spend the money on his six-month-old brother’s medical bills and also buy him a teddy bear. 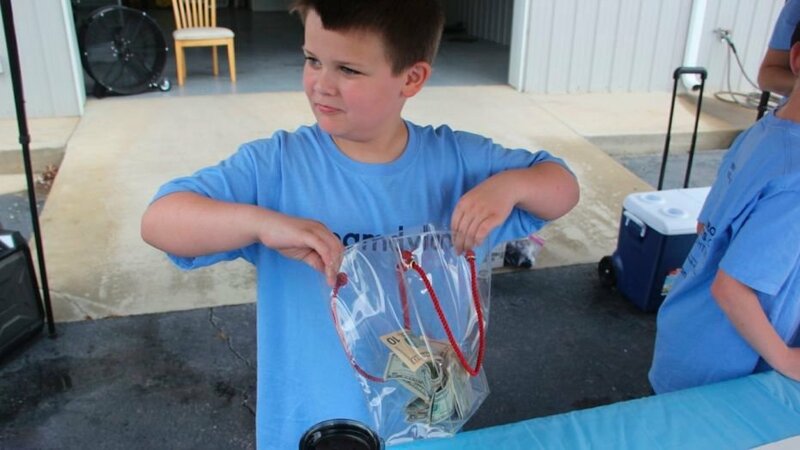 With the support of his friends, grandparents, aunts, uncles and caring members of the Greenwood community, the lemonade stand was set up in a used truck dealership, and he was able to raise $5,860 in just 2 hours. Andrew did not just sell only lemonades at his stand. The loving big brother also sold custom t-shirts that had Dylan’s name boldly imprinted on it. The money raised from the sale of lemonade and the custom t-shirts will be added to the $1,300 which was raised at a benefit concert for his baby brother’s medical bills. A family friend also opened a GoFundMe account to complement the effort of the 9-year old Dylan which has raised about $33,606 in 15 days. 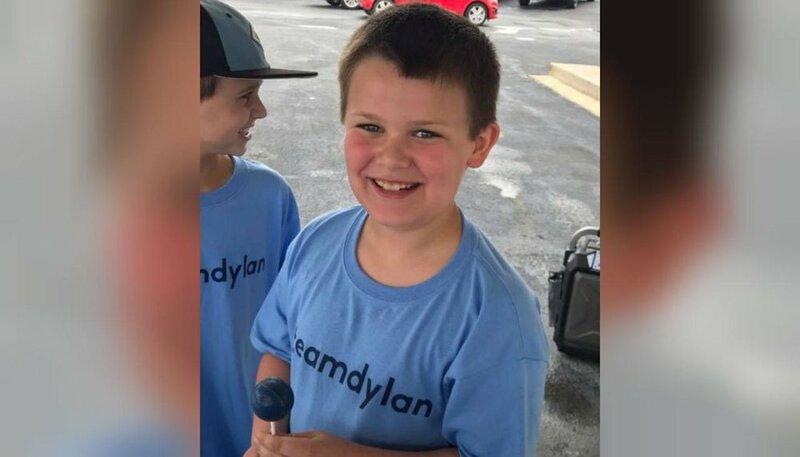 The mother of the two kids, Melissa, created a Facebook page called “Team Dylan” where updates about Dylan’s health and information about plans being put in place to help Dylan are regularly posted. The page also contains pictures of events organized to create awareness about Dylan’s health. Andrew’s parents took to the facebook page to express their gratitude to Andrew, his friends and everyone who had been a part of the fundraising. According to his mom, Andrew had always been excited about having a baby brother and setting up the lemonade stand to raise funds for his sick brother was just one of such overt acts evidencing how much love he has for his brother. Matt also expressed pride in Andrew’s actions and reportedly mentioned that he had always known Andrew has a heart of gold. He was also glad that his son was such a good kid who took it upon himself to set up a fundraiser at the tender age of 9. He further added that he already told Andrew that he cared less whether or not he raised $5 or $500 because all that mattered was that he was extremely proud of his good deeds. The parents of the boys expressed ecstasy at the huge support they received and registered their amazement at how much Andrew and his friends exceeded their wildest dreams. They stated that coming together for a common cause was what a community should be about and were happy that it was exactly what members of their community had done. In another post, they expressed their gratitude for the continuous and numerous calls, text, thoughts, and prayers which they had been receiving and mentioned that those were the things helping them through the day. The post also expressed profound gratitude to those who have been donating funds and organizing fundraisers. 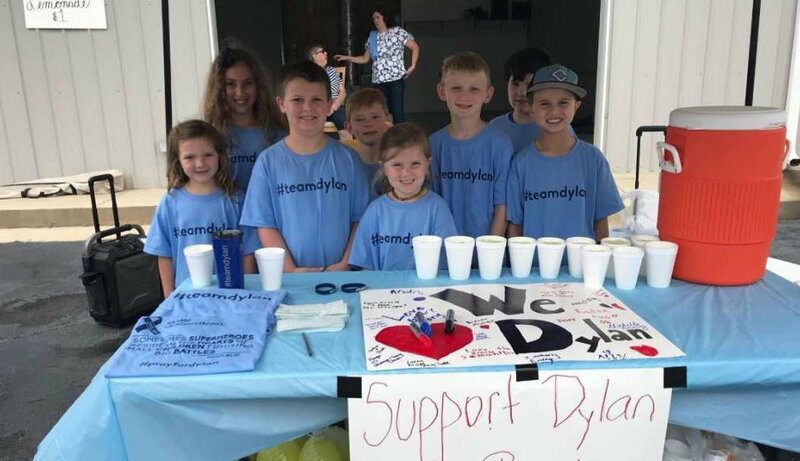 Michelle further added that their community is a small one where most of them have grown up together, and the outpouring of love and support for the Dylan’s family being part of the community was amazing. She also expressed her optimistic hope that by sharing Dylan’s battle, they will not only be able to raise money for him but will also be able to raise awareness for every other child suffering from the devastating disease so that it can be prevented from robbing parents of their precious children. Krabbe disease is an incurable disease, and according to Matt Emery, the main reason why they took Dylan to the Pittsburgh Children hospital was because they wanted the doctors to do all the tests possible so that they may probably help cure someone down the road and prevent other parents from having to face the disease.